For the best price guaranteed, book online with us! Register with us to receive offers on specials and golf promotions. Use our calendar to make sure you don't miss out on another exciting event at our golf club! With multiple membership options, we have the right fit for your golf membership needs! The gift of golf never fails to put a smile on someones face. St. Louis golfers can now enjoy a true links style championship golf course. Designed by renowned golf course architect Gary Kern, Aberdeen Golf Club is an 18 hole, par 72, links style golf course. 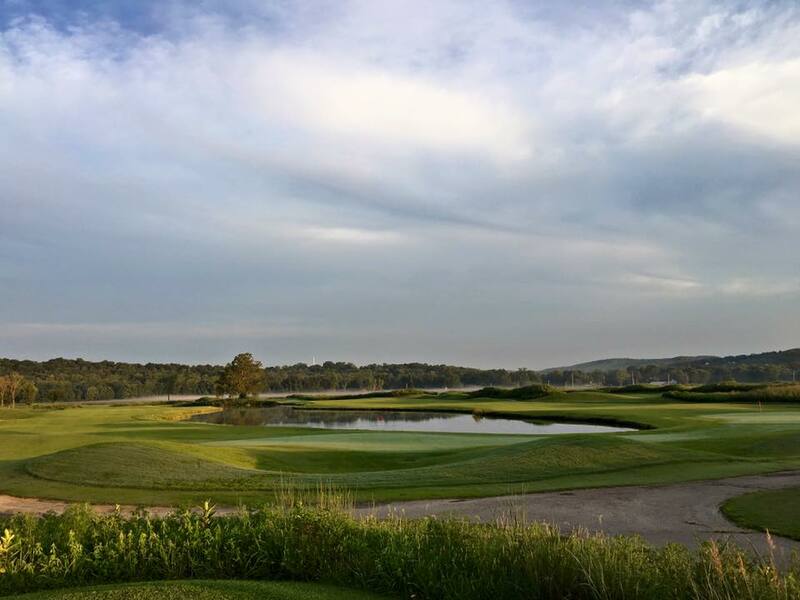 Our unique layout features undulating zoysia and native grass terrain, sod wall bunkering, 2 lakes, and bentgrass greens against a picturesque backdrop of the Meramec River bluffs.